Reviews for G.L. 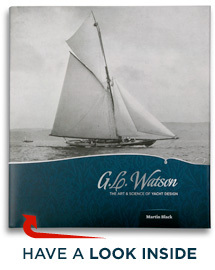 Watson – The Art and Science of Yacht Design by Martin Black which can be purchased online at www.peggybawnpress.com, and at the list of online and real book shops listed here. 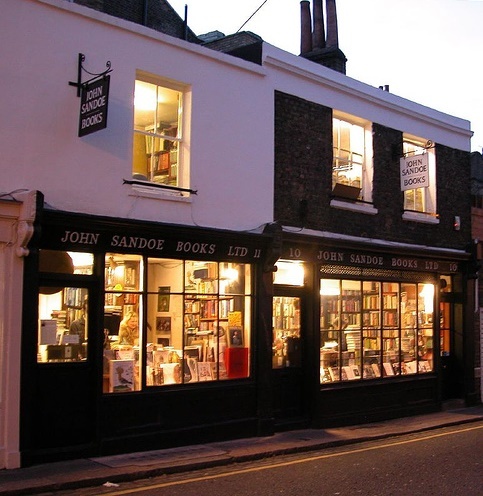 John Sandoe Books, Chelsea, London, November 2014. “… a copy-book biography in the thoroughness of the research and the author’s clear enthusiasm for his subject. Robert Stokes, amazon.co.uk, May 2014. “What a man, capacity for work second to none. The book brings to life the reality of the incredible speed at which they could design and build yachts and ships back then but at the same time keeping an eye on details. It’s amazing he lived as long as he did! “The insight into the Americas cup was especially interesting to me, made me wonder if Herreshoff had to build boats that had to cross an ocean whether they would have beaten Watson’s boats. Shamrock II was the boat, what a beast. Captain Steve Hammond, ‘SY’ Nahlin, April 2014. ‘SY’ Nahlin, designed by G.L. Watson & Co., built by John Brown, Clydebank, 1930. At Dartmount in 2010. Rainbow, 1898, Logan Brothers, New Zealand, getting her just deserts. Beautiful. “… just a brief missive to say how wonderful your book on GL Watson is. I bought a copy just before Christmas, and have been devouring it during any spare moment since. I would have completed it sooner had much of it not sparked many a daydream of me sitting at the tiller of Vril. Read the full review (in Italian). Bianca Ascenti, Giro di boa blog, Corriere della Serra, Italy, December 2013. Robert E. Kemp, Australia, June 2013. “George Lennox Watson war der berühmteste Yacht-Designer seiner Zeit, der sich mit den Konstruktionen der frühen America’s Cup Yachten einen Namen machte. Eine neue Biografie befasst sich mit dem ereignisreichen und erfolgreichen Leben des Briten. Erdmann Braschos, Germany, at segelreporter.com, February 2013. “Martin Black’s work on G.L. Watson gives the diligent reader a great deal more than its title suggests. Watson is well-known as the designer of HMY Britannia, the 1893 cutter that broke the Big Class mould and was still racing successfully 40 years later. “Less widely understood is that this extraordinary man was arguably the first to draft his boats on scientific principles. “Readers will find it richly rewarding. Not only do they find the essential story they signed on for, they are treated to a panorama of the diverse background against which Watson was operating. After a ‘scene-setter’ describing the launch of Sir Thomas Lipton’s Shamrock II, with nobility, yard workers, razzmatazz and champagne, Black gets properly under way with a fascinating chapter on the rise of Glasgow as an industrial power, followed by accessible accounts of the changing rating rules. Tom Cunliffe, Yachting World, January 2013. “The genius of George Lennox Watson comes to light within the beautifully designed and constructed pages of this 500 page lushly produced book. Yes, it really is nice. 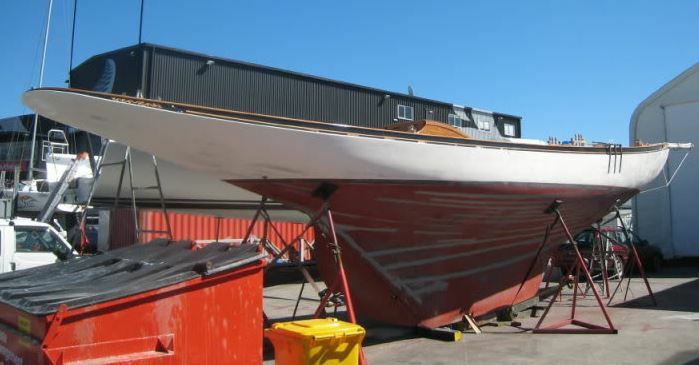 “You may be familiar with MADGE, his design which we’ve offered half-model plans for many years, or perhaps you read about PEGGY BAWN, the 1894 cutter featured in WB 202 , or you may already be aware of his history with the America’s Cup boats. You’ll find a treasure trove of information and photos. And when you’re turning pages of this book, you might even notice the publishing company in Ireland is named Peggy Bawn Press. Classic Boat Magazine, “Christmas Crackers”, December 2012. “The name of G L Watson will be familiar to many as one of the great designers of the golden age of yachting in the late 1800s but few may be aware of the significant role he played in the development of yacht design. Martin Black’s book, exhaustively researched and beautifully written and presented, documents George Lennox Watson’s remarkable career from his apprenticeship at age 16 in 1867 in the drawing office of Napier’s Shipyard, and then establishing his own business at the age of 21, to his untimely death in 1904 at just 53 years of age. With his small team he designed over 400 racing, cruising and steam yachts, including four challengers for the America’s Cup and the Prince of Wales’ Britannia which is regarded as the most successful racing yacht ever. Olin Stephens regarded Watson as the greatest yacht designer of all time. “Watson’s career started at a time of great growth in the leisure yachting scene and he was able to capitalise on the new wealthy industrialists indulging in large yachts. At the time, yachts would be commissioned directly from the shipyard where they were designed in-house, more with an eye to tradition than by the application of science but Watson could see that there was a better way. He combined his instinctive design flair with the application of the insights of the early hydrodynamicists and the new science of tank testing, always questioning the accepted way of doing things and being consistently innovative in his thinking. His is thought to be the first independent yacht design office to be established in Europe with only Herreshoff in America designing in a similar way. “Much of the Watson archive was lost to bombing during the war and subsequently to flooding in the 60s and 70s but Martin Black has left no stone unturned in his quest to document Watson’s life and work. His research has taken him around the UK, to the USA and around Europe including Russia. The resulting book is lavishly illustrated with stunning photographs and the story is interspersed with contemporary accounts of races, launchings and other events making it a compelling read. Andrew Wolstenholme, Water Craft magazine (UK) #94, July/August 2012. “Having now read it cover to cover and planning to read it again, I have to… praise you on producing an informed, unbiased account of the Great man’s work and life. Reading the race commentaries had me enthralled and surprisingly egging his boats on. Trev Lansley, owner of 1887 G.L. Watson design no. 140, Beröe, 2012. 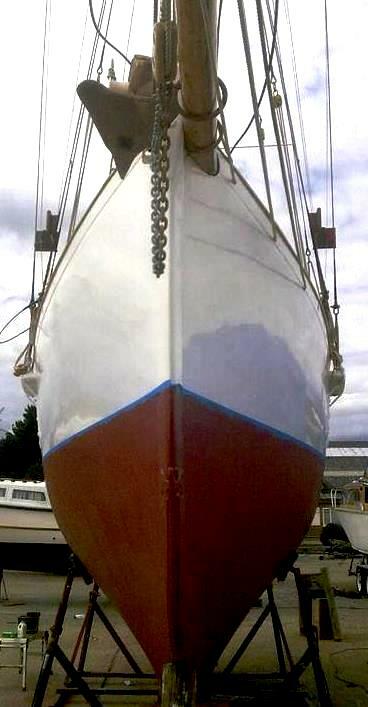 Donan Raven, Donan Raven’s Yachting Trivia, France, 2012. “I have a strong sense these days of Watson’s presence. In a recent New York YC magazine I wrote a short article about the transition from the dangerous New York skimming dish that was in some part stimulated by Madge’s successful visit in 1881, which triggered a new length and sail area rating rule. “A week or two ago, I had the pleasure of looking at a model of May while attending a meeting in the club’s Commodore’s Room. 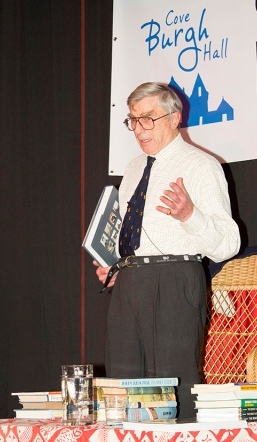 John Rousmaniere, yachting historian and author, March 2012. “This remarkable book is a result of well over 25 years of research by Martin Black, a [Royal Northern & Clyde Yacht] club member. The two clubs which joined together to form the RNCYC have between them more than 44 mentions. Some of the numerous photographs have been dug out of family collections and archives which have lain untouched for decades and have never before been published. “The many references, handily grouped at the end of each chapter, are so extensive that yachting historians will use this book as the basis for future works. It is undeniable that there has not been a book to equal this one for many years not least because it covers so many aspects of the joys and griefs of going afloat. The America’s Cup, the ups and deep downs of the rating rules, the families involved, the feuds and triumphs ae all detailed and backed up with some sensational pictures. “George Watson was a remarkable man. He started his company we he was just 21 and for the first two years he had a lean time. Then he designed successful racing yachts and thereafter his career took off so that he became an international figure, consorting with kings and nobles, millionaires and professional racing skippers who were prepared to sail over sandbanks to win. His output was prodigious, but he was lucky to live in at a time when electronic gadgets did not intrude so often and so annoyingly. This very exceptional man is described in profuse and fascinating detail in a very remarkable book, which also celebrates the successes of our club. What makes his career all the more astonishing is that he supervised the construction of so many yachts, came so near to winning the America’s Cup (frustrated by indifferent crewing, baggy sails and pure bad luck), and was an innovator ahead of his time and other yacht designers. Ian Nicolson with GL Watson at Cove & Kilcreggan Book Festival, November 2014. Ian Nicolson, yacht designer and author, Royal Northern & Clyde YC Yearbook 2012. “The gap between the publication of truly great yachting books is roughly twenty years. Thanks be, the recent long waiting period is over and this delightful book has come out to please us all. Martin Black is that rarest of authors, someone who is prepared to leave an excellent job and throw himself with energy into writing a memorable book. He has spent decades doing the research and it has been worth all the travelling to Russia, Germany, the United States and all over Britain and Ireland. He has delved into yacht club archives, found data in aged newspapers, talked to creakies, and consulted well over forty individuals and organisations, including a founder member of the OCC [Ocean Cruising Club]. Read the full review [PDF pg 88]. Ian Nicolson, yacht designer, author and founder member in 1954 of the Ocean Cruising Club, in their journal, Fying Fish, vol 2, 2012. Thomas Armstrong, 70.8% Blog, April 2012. “I am jumping up and down for joy having the book, if only you knew how excited I am. “It’s been the life work of Martin Black who devoted the past 25-30 years of his life researching and collecting anything on G.L. 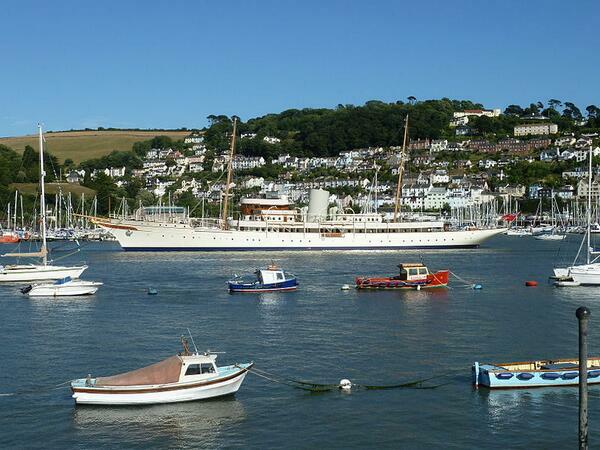 Watson, to my mind was the greatest naval architect of the 19th Century and early 20th Century. “The result is a really incredibly beautiful book with lots of magic pictures that will keep anyone of us of the streets for a while. 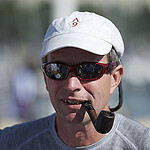 John Lammerts van Bueren, Holland, International 8-Metre (8mR) Class Secretary, 2012. Ian Nicolson, Scotland, yacht designer and author, 2012. Llewellyn Howland III (USA), antiquarian book dealer and author of the forthcoming biography of American yacht designer Starling Burgess, 2012. “If weight, breadth, height and thickness are your primary concerns in evaluating a new book, then this is for you writes WM Nixon. If very high production values, with quality printing, impressive layouts, and the visionary use of a wide range of historic photos are high on your priorities, then this will get your approval. If an inspired text, elucidating many formerly tangled matters of interest in sailing and design history, and all set in a clearly in a comprehensive context which provides a superb socio-economic historical analysis of an important part of Scotland at the height of its maritime, engineering, scientific and industrial glory, then you’ll delight in this. But if one of your special pleasures is browsing through a comparative display of properly presented sets of yacht designs, then you’ll be disappointed – the few drawings shown in this otherwise magnificent book are little more than sketches used to illustrate changing design trends. “It may well be that the team involved in producing this masterpiece plan to bring out a book of Watson designs in due course – ideally, it might be of broader scope, taking in the designs of all the main Scottish yacht designers. Certainly if the large and varied selection of the more significant designs created by Watson himself, or together with his team as head of a busy drawing office, were included in this volume, then we’d have to think of having neat mini forklift trucks and strong lecterns available for all readers. As it is, it’s a bonny baby, chiming in at a smidgin under 3 kilos, or 6lbs 8 ozs if you’re in a maternity ward, and it’s to the credit of those involved that they’ve kept it down to this weight, which permits an attractive posting and package service anywhere in the world. W.M. “Winkie” Nixon, Afloat magazine, Ireland, March 2012. 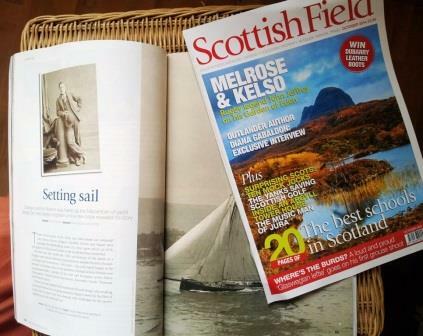 The late and much missed, Mike Balmforth, Scotland, yachting scribe, pilot book editor and publisher February 2012. Ewan Kennedy, Scottish Boating Blog, February 2012.